Advanced digital technology, timeless styling, and ease of use come together in the Marsona 1288A Programmable Sound Conditioner. 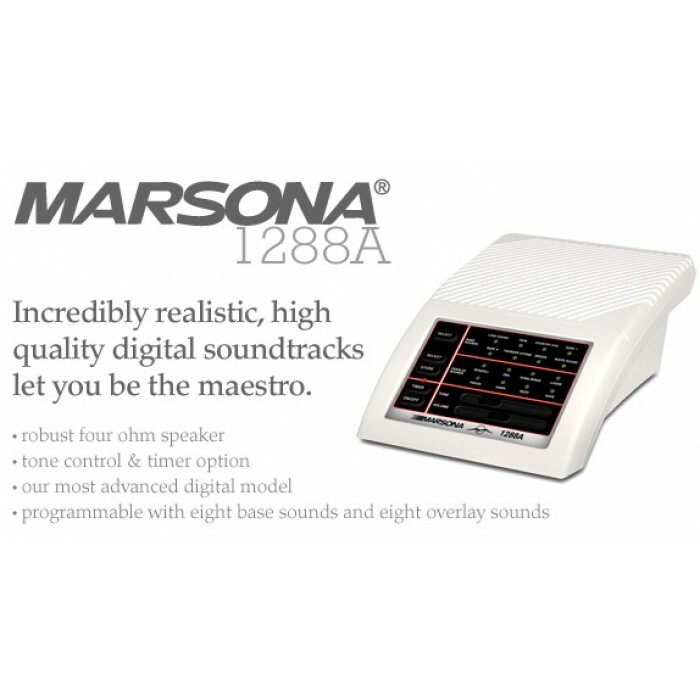 The 1288A features exceptionally realistic sound quality and a collection of programmable -overlay sounds-to provide the user with a variety of combinations. The easy-to-use device provides perfectly controlled sound conditioning for masking disruptive noise or for adding comfortable background sound where it might otherwise be too quiet for sleep, concentration or relaxation.